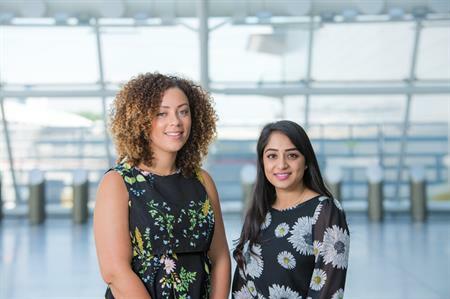 ExCeL London has strengthened its Conference & Events team with the appointment of Sophie Simpson, as account executive, and Sarika Sangar, as digital marketing executive. Simpson joins ExCeL from The Honourable Society of Lincoln’s Inn, where she was responsible for selling and coordinating a variety of events, as well as managing key accounts. Prior to that, she worked at the Royal College of Surgeons as a conference and events coordinator. At ExCeL, her primary role will be to manage cultural, exam and public sector business, as well as location shoots. Sangar joins the team from Conveyancing Data Services, where she was responsible for managing its social media accounts, website and digital communications. Prior to that, she built up her experience working for small to medium sized marketing agencies, where her roles included, website development, SEO, social media, reporting and analytics. James Rees, executive director, ExCeL London, commented: "2017 is set to be our busiest ever year for conferences and events, with business across all sectors growing exponentially. Moreover, we now have two established venues, with ExCeL London and CentrEd at ExCeL, that require a dedicated sales and marketing effort. We are delighted to welcome both Sophie and Sarika to the team. Their combined experience will be enormously beneficial and we wish them both every success in their new roles."